ABS-CBN celebrity singing competition ‘Your Face Sounds Familiar Kids’ returns Saturday and Sunday, January 28 and 29, 2017. AC Bonifacio, Alonzo Muhlach, Awra Briguela, Elha Nympha, Justin Alva, Lyca Gairanod, Sam Shoaf and Xia Vigor returns tonight to impersonate local and international music icons. Below is the list of performances for January 28-29 week 4 episode. Last week, Xia Vigor wins the 3rd weekly round with her impersonation of Axl Rose of Guns N Roses. Vigor took home the P100,000 weekly prize — half of her win goes to her chosen charity. 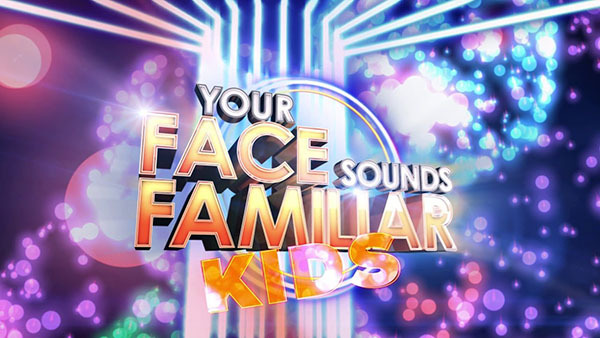 Your Face Sounds Familiar Kids airs Saturday and Sunday at 7PM. Billy Crawfowrd serves as host while Gary Valenciano, Sharon Cuneta and Ogie Alcasid serves as jury. Bookmark this page, performance videos, Your Face Sounds Familiar Kids Week 4 episode performance videos, results and recap will be added on this page during the show. Excited for Your Face Sounds Familiar Kids? Share your thoughts on the discussion below! For more updates, follow us on Facebook and Twitter. Lyca Gairanod as Tina Turner wins the 4th weekly round!